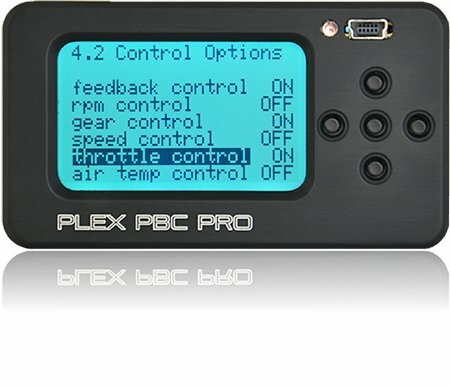 The PLEX PBC PRO® is a revolutionary next generation electronic boost controller recognised for its unsurpassed accuracy, on-the-fly configuration, wide versatility, 7D simultaneous boost control and its motorsport specifications. 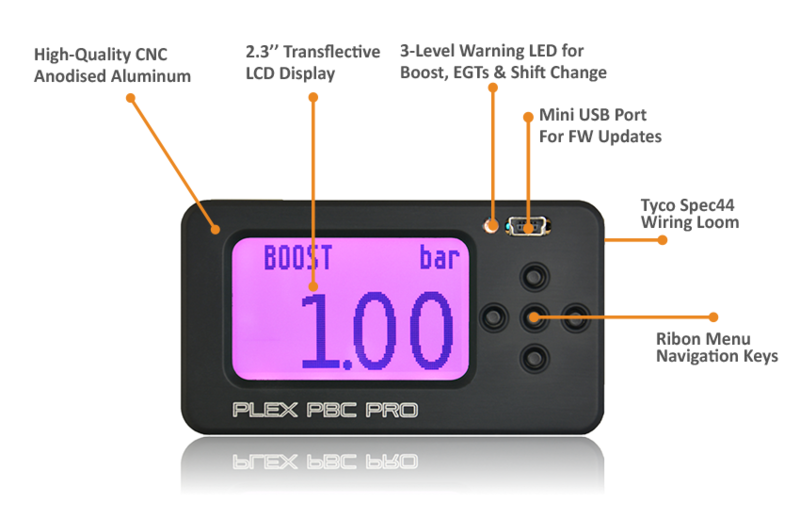 Unlike other boost controllers, the PBC PRO comes with OBD CAN BUS functionality which make it capable of displaying various OBD parameters and using OBD PIDs for advanced engine protection. It is available in two CAN BUS versions that also include EGT input(s) and a basic version without CAN BUS and EGTs. 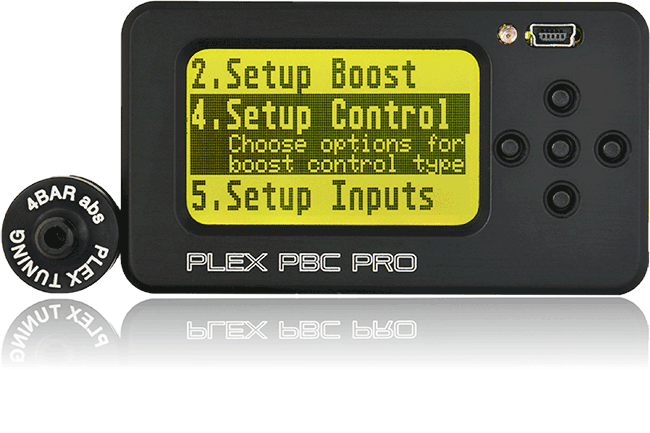 Dedicated keys and easy ribbon menu lets you configure the PBC PRO fully from the device. No need for a PC. Set custom configurations that match your different driving preferences and switch between them easily either by external switches or via the dedicated keys. Multi-level, simultaneous boost control by following variables: Gear, RPM, Throttle, Air-Temp, Speed and Time. Choose between open or closed loop modes and easily adjust the solenoid or boost target duty cycles versus each dimension. Configure the boost control maps right on the device and save up to four different custom presets with your preferred settings. The PBC PRO® comes with and OBD CAN BUS port which allows you to display & utilize data from stock engine control units (EURO OBDII – ISO15765 / most vehicles after 2006), such as water, air temp., engine load, manifold pressure and ignition timing without the need for extra wiring. 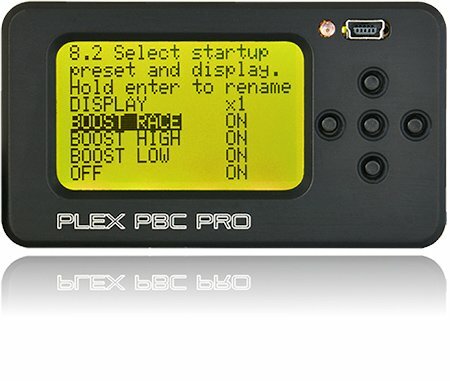 Choose whether you prefer to display 1, 2, 4 or 8 different parameters at the same time and this way use the PBC PRO to replace other gauges that are over-cluttering your dashboard. Unlimited boost management even for extreme power drag racing vehicles. 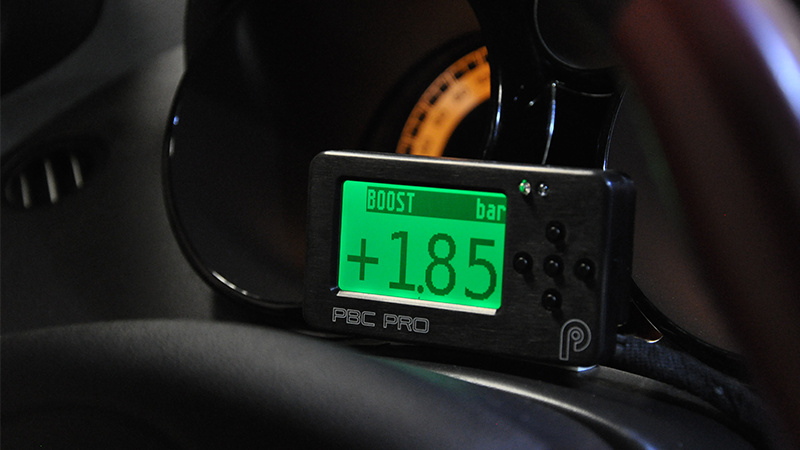 The PBC PRO comes with our default 4bar map sensor but can accept sensors up to 6bars. 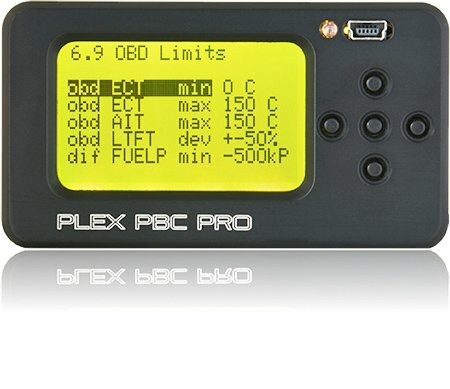 Connect the PBC PRO to most available Wideband A/F Ratio controllers to display lambda values and use them for warnings and limits. If engine exceeds a set boost threshold & the lambda is leaner than the set limit, a warning will be displayed and the boost will shut-off. The PBC PRO calculates the differential fuel pressure and uses this value to apply warning and limit when the fuel delivery is not adequate. Requires the AEM 10bar Fuel Pressure Sensor. Create up to 4 different presets and store them with your preferred names. Decide which will be the “default” one, and easily switch among the different presets with just a couple clicks and with an external switch. Better safe than sorry. 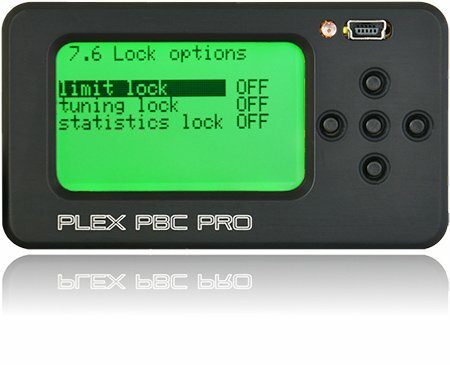 The PBC PRO offers convenient password protection that lets you lock the boost limits, the tuning settings and/or the boost log statistics and this way protect your customer from frivolous adjustment of the settings that can lead to negligence. Chose the Porsche 996t protocol from the menu and without extra wiring, using the CAN bus connection to the ECU, view and utilise engine rpm vehicle speed, water temp, intake air temp and throttle position. Available only on CAN BUS versions. Choose the VW Group protocol from the menu to display and utilise extended ECU parameters such as knock retard per cyl., fuel pressure, oil temp, misfire count, rpm, lamdba, speed, water/air temp., throttle position & ignition timing. Available only on CAN BUS versions.